Late Shree K.V.Subramanian was born in Palghat in 1920 a small district in Kerala & learnt to play the Mridangam from Late ‘Mridanga Chakravarthy’ Shree Palghat Mani Iyer & also completed his education in Palghat. He came to Mumbai in 1939 & was working in Forbes Camp Bell & Co. He was a keen lover of arts & his interest in music led him to conduct classes for playing mridangam.He used to play for dance & carnatic music concerts. During his lifetime he has also played mridangam for various documentary films & has traveled abroad to give performances. His interest in music also led him to work as a founder secretary of ‘Bombay Sangeetha Samajam’ to promote local talents. 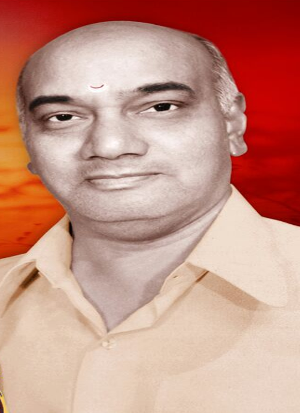 He started Geetha Dance Centre to impart training in Bharatnatyam & teach carnatic music . His dream was to build an institution for promoting fine arts but unfortunately, due to his early demise in 1978 it remained unfulfilled. 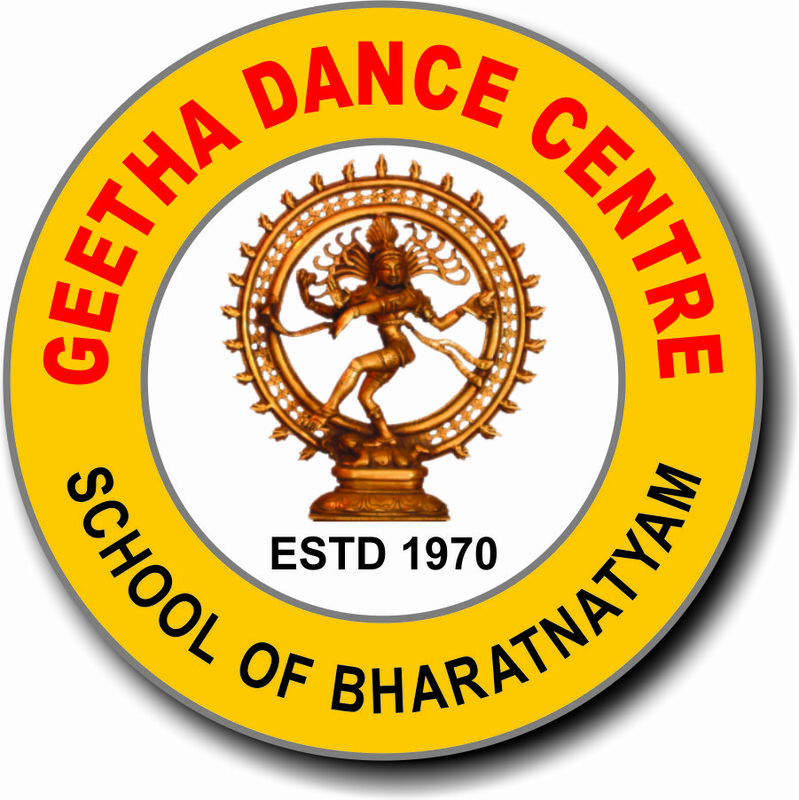 Geetha Dance Centre was founded in 1970 by Late K.V. Subramanian , father of the present director Guru Geetha Sharma. Geetha Dance Centre promoted two other students besides Geetha for performing “Arangetram” in a span of five years in Mumbai. Initially, classes were conducted in Mumbai by Guru Geetha Sharma till 1975. After her marriage, she started conducting classes in Pune & celebrated the silver jubilee of the institution in 1995. So many of her students have performed Arangetram & are giving performances at various places. At present, nearly 200 students are taking training in this art. The institute is well known in Pune especially in Pimpri – Chinchwad area for its excellence in classical dance for last four decades. Her eldest daughter Sow. Mrudula Gaikwad is conducting classes in Aundh & Pimple Saudaghar in Pune, second daughter Sow. Shwetha Bhaskar Iyer is conducting classes in Houston, U.S.A & her senior most student, Sow. Radhika Adhikari who along with Guru Geetha’s eldest daughter, performed the institution’s first Arangetram is also conducting classes in California, U.S.A..
Guru Geetha Sharma born in Mumbai, is an Arts Graduate with economics as major subject. By profession, she is a classical dance teacher of “Bharatnatyam” & for last 38 years has been teaching & promoting this form of arts to various persons in the community. She started learning Bharatanatyam at the young age of 6, initially from Guru Sudha Doraiswamy & later from the famous school of Sri Rajarajeshwari Bharatanatyam Kalamandir, Mumbai. She has participated in many dance recitals & ballets & is also proficient in Carnatic Music. She has acquired a diploma in classical dance. The Maharashtra government has recognized her as a performing artist for the promotion of culture in various parts of the state. Her father Late. K.V. Subramanian a renowned Mridangist started “Geetha Dance Center” for promoting young artists & teach classical dance namely Bharatanatyam & Carnatic Music. Guru Geetha Sharma has been conducting classes under this banner for 5 years in Mumbai , then in Pimpri – Chinchwad area from 1975 onwards after her marriage. Her interest in fine arts, inspired her to form a charitable trust, “Kalamandir ” to promote young artists & fine arts in Pimpri – Chinchwad area , which conducts dance, drawing & singing competitions every year. Guru Geetha Sharma by her hard, sincere & diligence work “thru” the institute, has imparted training in Bharatanatyam to several students in the past 33 years in Pune . Many of them have done their “Arangetram” & are performing and projecting this form of dance in various parts of India & abroad. This institute celebrated the Silver Jubilee on 17th October 1995. At present, classes are conducted in Nigdi & Pimple Saudagar. She has been felicitated by many organizations in Pune city & has been called as a judge for various dance competitions. For her efforts she has been awarded the most prestigious award in Pimpri – Chinchwad area the “Annasaheb Magar Award” at the hands of former chief minister Sharadchandra Pawar.She has also received the “Akhila Natya Parishad , award in Maharashtra, from the hands of chief minister Vilasrao Deshmukh and the “Vivek Foundation Award” at the hands of former union Railway Minister Suresh Kalmadi. She has also performed for various organizations & motivated her students to perform & has also given opportunities to the students to do the same at various places. They also organizes various events like Hindusthani Classical Music, Kathak & Bharatanatyam dances by renowned artists. She is the founder secretary of Kalamandir. She is also a linguist knowing as many as six languages, namely English, Hindi, Marati, Gujarati, Tamil & Malayalam. She is also interested in social work & has been the President of Lioness Club Of Pune – Bhosari , Associated District Chairperson for lioness clubs in the year 2001 – 2002 & 2002 – 2003 & Charter secretary of Lions Club Of Pune – Akurdi in the year 2002 – 2003,President of the club in the year 2005 – 2006 & she is an active member of Lions Club Of Pune – Akurdi . In short, her aim is to promote fine arts thru social & cultural organizations & also to establish a center in Pimpri – Chinchwad area to promote the same. 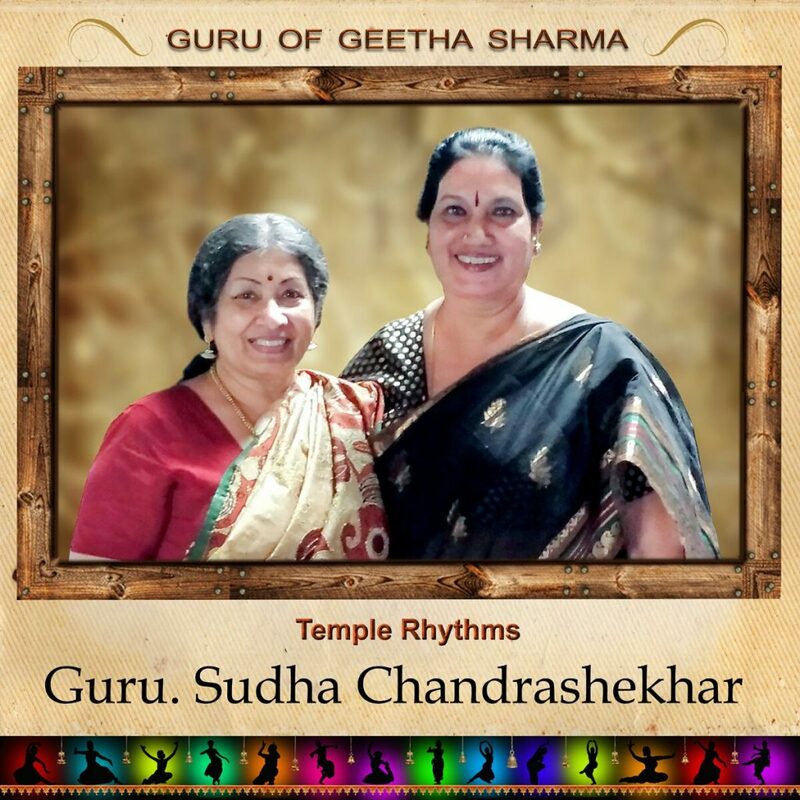 Sudha Chandra Sekhar nee Sudha Doriaswami, the first guru of Geetha Sharma has been classed with “the all-time greats” of classical Bharata Natyam and Kuchipudi schools. Sudha has become “one of those artists who combine versatility and artistry . Sudha has given over 5,000 performances in many parts of India and abroad. Sudha’s extensive experience dates back to 1943 when she first began her classical dance training in Manipuri and Kathak at the Rupatayan Institute in Bombay, India. She began studying Bharata Natyam in 1945 under the renowned masters of the Sri Rajarajeshwari Bharata Natya Kalamandir. In her teenage years, Sudha received the Government of India Scholarship for Advanced Training in Bharata Natyam. In the 1960s, Sudha and her dear Guru Kuppiah Pillai researched and revived the rare and ancient Navasandhi Kavuthvams, for which they were bestowed with great praise. At present she is conducting classes in the name of “The Hindu Temple Rhythms” based in Oak Park, Michigan,U.S.A.. for last 50 years. It was the year 1945. When the alien rule was in its dying embers, India was at the threshold of independence. Bombay was the dynamic center of Indian resurgence, pulsating with pride in everything that was nationalistic, be it social, political, economic or cultural.In such atmosphere was founded the Sri Rajarajeswari Bharatha Natya Kala Mandir in Bombay by Guru Sri A.T. Govindraj Pillai, assisted and enthused by his wife Smt. Karunambal. 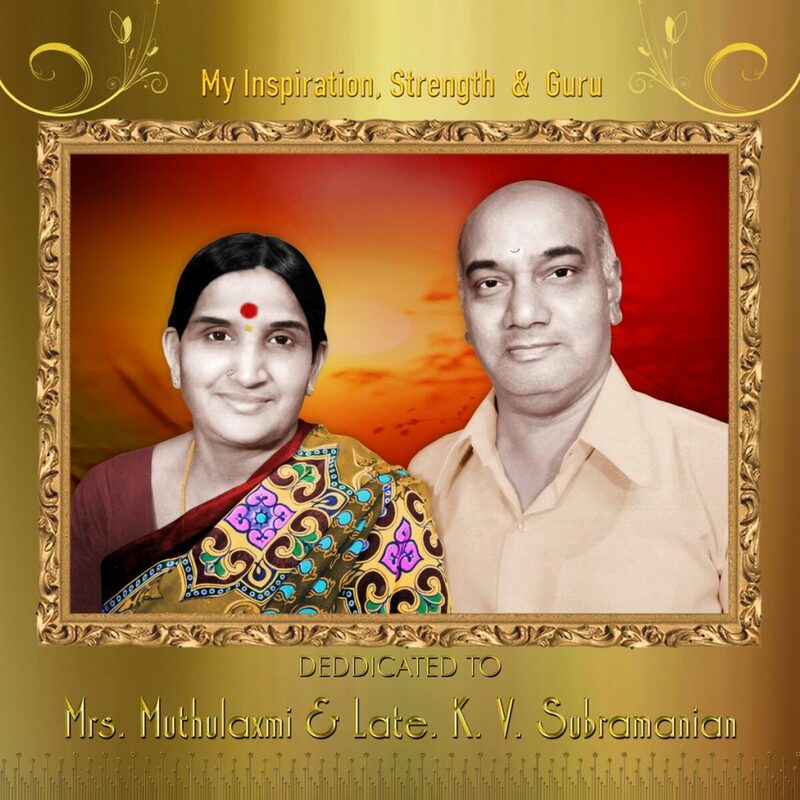 The success of this venture led to the migration of his father-in-law, the patriarch maestro Bharatha Vidwan Sri T.P. Kuppiah Pillai. He came with his family from Thanjavur, that repository of our ancient art and culture, to Bombay, the city of dynamic growth. Starting with just four students, the Kala Mandir, in course of time, grew into a large tree, with sons Guru Sri T.K. Mahalingam Pillai and Guru Sir K. Kalyanasundaram adding their unique expertise. 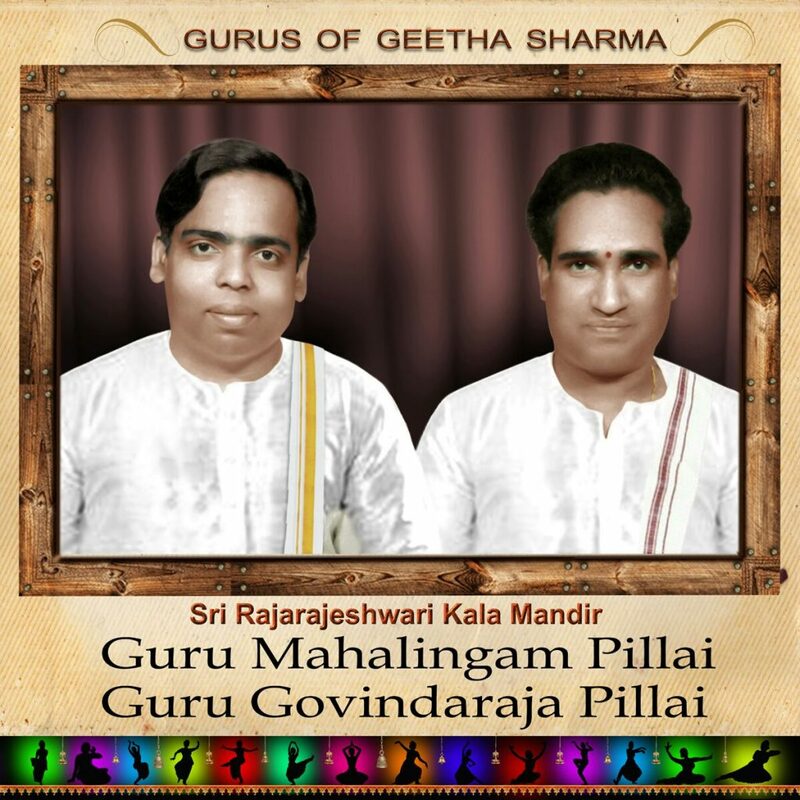 The Rajarajeswari Gurus have an illustrious lineage of ancestors dating back more than two centuries. Sri Venkatakrishna Nattuvanar was patronised by the Maratha King Serfoji II of Thanjavur. The second generation of Sri Veeraswamy Nattuvanar and his sister Chinnaappa Ammal were followed by the renowned Sri Panchapakesa Nattuvanar, who was the Samasthana Vidwan of Thanjavur and Ramanathapuram courts. His only son Bharatha Vidwan Kuppiah Pillai was the prime architect of Sri Rajarajeswari Bharatha Natya Kalamandir, regarded today as an institution par excellence for Bharatha Natyam. His “Kamala Chakram,” a lotus-wheeled compendium depicting the matra-based complex 108 talas, besides the popular 35 ones, is invaluable to all students of music and dance. He was the first Natyacharya to be honored with the Fellowship of the Central Sangeet Natak Academy in 1979. Guru Kuppiah Pillai’s son-in-law, Guru Govindraj Pillai, received the “Kalaimamani” title as the best dance teacher in the country in 1974. Guru Kuppiah Pillai’s son, Guru Mahalingam Pillai, received the Kalaimamani title as well as the Sangeet Natak Academy Award in 1984, along with the Maharashtra Gaurav Puraskar awarded by the state government in 1990. Guru Kuppiah Pillai’s other son, Guru Kalyanasundaram, is the present director of Rajarajeshwari and has received many of India’s top national honors. 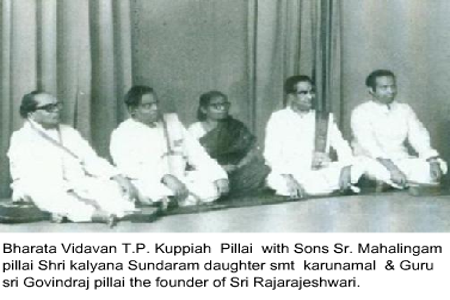 Along with these gurus, Guru Kuppiah Pillai’s daughter Smt. Karunambal and daughter-in-law Smt. Mythili Kalyanasundaram helped the institution blossom into what it is today – a legend of unalloyed, pristine Bharatha Natyam.